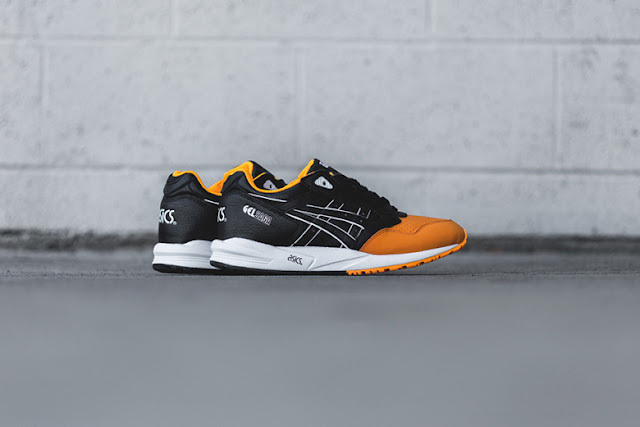 The classic ASICS GEL Saga sneaker gets the summer treatment with a dipped Orange Pop toe cap. Constructed of a predominantly black upper with white accents comprised of premium leather and nubuck for textural variety, the shoe is is contrasted with an orange sock liner and outsole. ASICS branding finishes off the design, which retails for $95 USD and is available now at retailers such as Feature Sneaker Boutique.